Are your windows fogging up? Are water droplets building and running down the glass like rain? Well, it’s very common here in Florida to see this. Many of us wake up in the morning to the site of dripping windows. But is it a problem, you ask? It depends on a few things. First and foremost is whether this “sweat” is on the exterior or interior of your windows. The summer “sweat” that you see is actually condensation. Think of it as the morning dew, and when it forms on the exterior of your windows it’s a good sign. It means that your windows are working efficiently. The simple way to describe what’s happening is like this: when warm moist air comes in contact with cooler dry air condensation is formed. Modern efficient, double pane windows create a barrier that prevents heat transfer and traps the cooler air inside your home. The exterior side of the glass stays at the temperature outside, while the interior stays at the temperature inside the home. Thus creating a place where condensation can take place…outside. Single pane and poorly insulated windows allow the heat to transfer inside your home, which means they typically don’t create the conditions allowing for the fog and dew to take place. What that means for your air conditioning system though is that it needs to work longer & harder to maintain your interior temperatures. 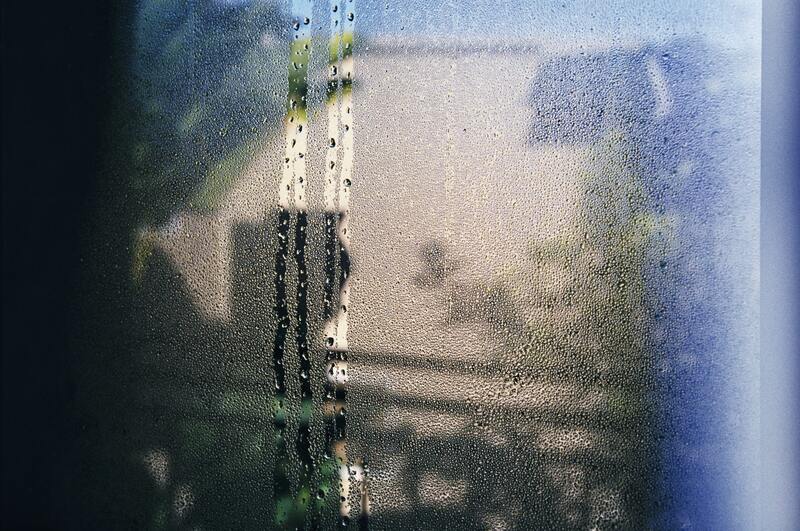 If you have moisture on the interior of your windows, it’s a sign that you have excess humidity inside your home. While it’s more likely to happen during the winter months when heating your home, moisture issues can appear anytime during the year. So, what could be causing it? Steam from showers, baths, sinks, and dishwashers can get trapped in spaces of your home. But not only in these smaller areas, poor ventilation throughout a home can allow excess moisture to collect. Overcooling can actually be the culprit. It could be from trying to cool too much or from a system that is too powerful for the space it’s cooling. Unbalanced airflow can oversupply areas of your home, creating condensation and that damp, humid feel. Yes, Florida is humid. But let’s keep it outside the home. If your home is sweating on the inside, contact Energy Air to help find a solution and get it feeling comfortable again.